My Angry Birds Hour of Code Award. My Minecraft Hour of Code Award. 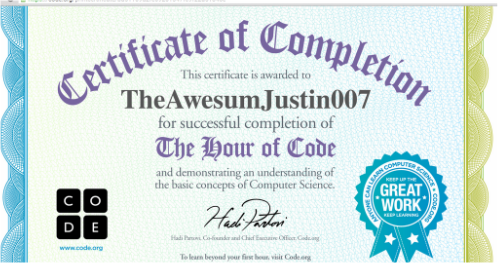 My Flappy Bird Hour of Code Award. My Star Wars Hour of Code Award.